Here at AIM AIR, we take seriously our role in fulfilling the Great Commission that Christ left us with. Our flight services are directed toward that end, and we are eager to support ministries that enhance and advance the vision of Africa Inland Mission: to see Christ-centered churches among all African peoples. Because our resources are both limited and subsidized, we are selective in our partnerships. If you are not already an Approved AIM AIR Ministry Partner, it will be necessary to complete a brief Partnership Application before you book a flight with us. Below you will find information about our bases of operation, contact options, answers to common questions, and additional information about our policies and what to expect when flying with us. In order to support your ministry effectively, mutual understanding and close communication are essential. If you have feedback, questions or concerns, our people in Nairobi, Loki, and Uganda are eager to hear how we can serve you better. AIM AIR operates from three strategic bases in east and central Africa. Contact us for bookings, or if you have questions about how we can serve you. AIM AIR’s main office is located at Wilson Airport on Langata Road in Nairobi. You are very welcome to come by in person to book your flight, make a payment, or discuss flight details. Our office is generally staffed weekdays between 8 and 5. Our Lokichogio base provides support for missionaries and Christian organizations serving in South Sudan as well as parts of northern Kenya. We offer twice monthly flights between Loki and our Arua, Uganda base, stopping in South Sudan. If you would like information on upcoming flights, including seat rates and dates, please sign up for the Loki e-mail updates. AIM AIR’s Arua base in northwest Uganda serves missionaries and Christian organizations throughout the Democratic Republic of Congo, Central African Republic, South Sudan and Uganda. Answers to common questions, and important information for flying with AIM AIR. Who can fly with AIM AIR? AIM AIR’s mission is to serve missionaries, Church workers, and Christian relief and development agencies. Our vision is that of Africa Inland Mission International: to see Christ-centered churches among all African peoples. It is our privilege to support ministries that align with and advance a similar vision. Because our resources are both limited and subsidized, our services must be exclusive. As such, AIM AIR has an Approved Ministry Partner Policy that formalizes our partnership with those we fly. To request a flight, you must complete an Approved Ministry Partner Application, which can be found at aimair.org, at any AIM AIR office or can be e-mailed to you. If your ministry involves partnerships with organizations which AIM AIR might not directly accept bookings from, they may be able to fly with you under your care and responsibility. AIM AIR trusts that the flights you book will be for a purpose consistent with your stated ministry. AIM AIR can only accept payment for flights from Approved Ministry Partners. We are not able to accept bookings from travel agencies. What determines the cost of a flight? AIM generates a quote for each flight which is the operating cost of the flight. 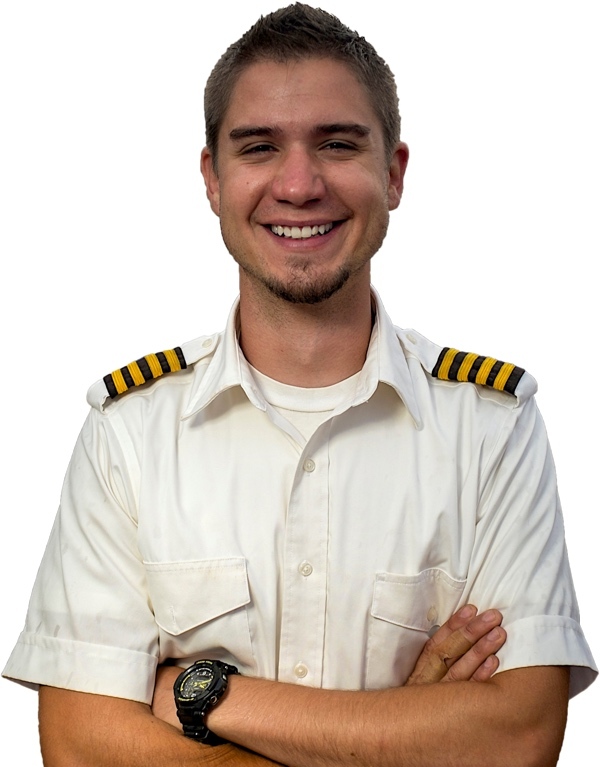 The basic quote includes a per-nautical mile fee specific to the type of airplane. This covers the mechanical cost of operating and maintaining the airplane, plus fuel and insurance, for the total miles flown over a particular route. The quote will also include a daily country fee which is a flat rate covering the cost of particular government flight permissions, navigation fees, overnight and parking fees, and overnight or repositioning expenses for the crew. Other individual charges would include landing fees and departure taxes. In addition to the basic quote you may see fees related to abnormal charges at certain destinations where government fees are excessive or unpredictable. Sometimes, to give you more payload, we will plan to fuel at a remote location rather than carry heavy fuel loads on the airplane. Due to the increased cost of transporting fuel to these locations, a specific fuel surcharge may apply. If your flight is scheduled to refuel at one of these sites, the surcharge will be calculated according to how many liters are uploaded. Likewise, due to the unpredictable nature of global fuel prices, a general fuel surcharge may be added to the fuel price already included in the per-nautical mile fee. This surcharge is designed to ebb and flow with the changing price of fuel, and applies fleet-wide for each type of fuel regardless of the flight routing. What’s not in the flight quote? What's the difference between a "Charterer" and "Joiner"? What does it mean to be a “charterer”? The charterer is the one who initiates and schedules a flight, takes primary responsibility for the cost, and takes ownership in the final outcome. A chartered aircraft is usually departing from and returning to the same location or Base. Therefore, the charter quote represents the “round trip” mileage regardless of how many passengers or how much freight is moved between particular points. A charterer has a certain amount of “operational control” over a flight – able to set or adjust times and places and priorities as long as those don’t conflict with AIM AIR’s policies or other constraints. And the charterer can choose to open up their flight to joiners – or not. What does it mean to be a “joiner”? A joiner is someone who is joining an already existing or scheduled flight. When there are empty seats, or empty legs on an airplane, and the charterer has agreed, AIM AIR may open up the available space for joiners. This can save the individual joiner the expense of chartering an entire airplane, and helps the charterer too, as the joiner will make a contribution toward the total cost of the flight. Joiners are generally charged a “seat rate” that is based on the miles they fly, plus all costs related to a route diversion if applicable. Joiner freight is charged in a similar way. Remember that when joining an charter, the joiner is essentially on ‘standby’. Even though a seat is reserved, the flight remains largely at the discretion of the charterer, who may request to change times and destinations, or cancel the flight altogether. Flights will not normally be delayed or diverted for joiners unless the charterer agrees for us to do so. All passengers who are two-years of age or older, must occupy an individual seat and seatbelt. Children younger than two are permitted by law to ride in the lap of an adult passenger. AIM AIR will agree with you on a meeting time and place for each day of flying, and these may or may not be flexible. It is critical to the success of your flight that you arrive on time at the arranged meeting place, especially if an early start is required. Because of local regulations and safety standards, our airplanes generally need to be on the ground 1 hour before sunset at the destination airport. If you request extended ground-time into an afternoon, the pilot will give you a ‘latest possible meeting time’. This is not flexible, and the pilot is authorized to leave without you if you are not at the airplane by the stated time. Because of the unpredictable variables of technical, logistical, and weather delays, AIM AIR highly encourages that you leave adequate space between expected arrival times of AIM AIR flights and planned departures on any airline. This is especially true for international connections, and AIM AIR recommends that you plan at least a full day between the two. We cannot accept responsibility for missed connections. AIM AIR is happy to incorporate scheduled overnights into your trip. There may be additional costs related to this, such as paying for security guards. It is also your responsibility for the pilot’s accommodation for each night out. AIM AIR generally sets a limit of 4 or 5 consecutive nights out as a maximum. Some of our flights require that the pilot receive information on the present security situation at the destination before landing. If this applies for your flight, and AIM AIR does not have the ability or contacts to get this information, you may be asked to provide it through your resources on the ground. For certain flights in insecure areas this is non-negotiable, and we ask that you take this requirement seriously when asked to provide assistance. A pilot may not be able to depart for the next destination, or may even be turned around at the charterer’s expense, if a security report is not received in time. Normally, our single engine aircraft are flown with a single pilot. However, AIM AIR will sometimes dispatch a flight with two crewmembers on board. There are a variety of reasons for this. The regulatory parameters of the flight may require a second crewmember, or AIM AIR may require two crew for maintaining certain training or currency standards. When this happens, we will reduce the available payload on your flight and occupy another seat. AIM AIR will always give you a payload projection in advance based on this arrangement if it is likely to occur. We ask for your understanding that every flight benefits from the few that require two crew. AIM AIR does not fly on Sundays. Nor do we reposition crew, manage freight, or staff administrative personnel to address logistics for flights in the upcoming week. We make rare exceptions to this, including any medical emergency. Those flying with AIM AIR are responsible to carry any required identification or documents based on the route of flight and departure and destination airports. Cargo may also require export documents. You may inquire with our office about specifics to your planned route. At the time that a flight is confirmed, an estimated quote may be issued based on available information. Many factors, some of them subject to change, will affect the actual operational cost of a flight; including fuel surcharges and government fees. However, within two weeks of the departure date of a flight, AIM AIR is able to give you an accurate, finalized quote which will reflect the payment due, provided the flight circumstances do not change. Therefore, pre-payment should take place only after any route changes have been applied and within one month of the flight departure date. Any flight request which is put on the schedule must be confirmed within 48 hours of putting the flight on the Whiteboard in order to hold its spot. Any flight not confirmed within that 48 hour period must be removed. Quotations for cost and payload, for un-confirmed flights, expire after 48 hours unless flight confirmation is received. Extenuating circumstances can be exempted from this if approved by the Director of Operations or Out of Nairobi Program Manager. AIM AIR flights must be paid for in advance for ministry partners who do not have an account or get approval from the Director of Operations or Program Manager to pay at the conclusion of the flight. This policy applies to both charters and joiners of existing flights. Exceptions to this policy may be authorized by the ABS Finance Manager. Cancellations of a chartered flight, or booked cargo or seats, which occur more than two weeks prior to the flight’s departure date, do not carry any penalty. Cancellations that occur less than two weeks prior to the flight date may require a payment penalty of 25% of the quoted flight or joiner cost. A “no show” may incur a payment penalty of 100% of the quoted flight or joiner cost. This policy provides increased safety and efficiency in AIM AIR’s operations. Flight planning, crew assignment and permission requests all require a lead time to allow proper execution of a given flight. Cargo being flown from Nairobi needs to be delivered to the hangar within this same timeframe. AIM AIR may not be able to accommodate cargo delivered late or without applicable export documents, noting that goods crossing borders require customs approval. Some flights may be subject to significant change. However, these flights should be identified as such and have extra flexibility built into the schedule. Pilots and Operations staff should not accept these types of changes without approval from the Director of Operations or their Program Manager. If a change impacts a scheduled maintenance event, consultation with the Director of Maintenance is required. Both the flight crew and the Operations Department must approve any changes made within 36 hours of departure. What cargo can I put on the flight? In our larger aircraft, cargo size is rarely a concern. Typically a sheet of plywood can easily be loaded as long as only three or four passengers are on the flight. Most travel suitcases and plastic trunks fit under the cabin in the cargo pack. Extraordinarily heavy cargo may exceed the floor loading of the cabin or the cargo pod, requiring additional measures to be taken to spread out the load. If you plan to fly in the smaller aircraft, the Cessna 206, smaller, carry-on sized suitcases are preferred, especially if there will be 3 or more passengers. The transport of animals needs to be cleared by our main office before the flight. Any animals on AIM AIR airplanes need to be adequately restrained. If any cargo is deemed to be a hazard to the aircraft or occupants, we reserve the right to refuse transport of it. Please click on the image below for a list of common dangerous goods. Cargo may fall into one of these categories of dangerous goods. Please contact us if you think your cargo may contain an item in one of these categories. Unless you are a bush missionary, you will never fully understand how much it means for a plane to come carrying mail, produce, a daily paper, or spare parts for a broken down car. It may seem so small, but to us, they mean the world. We are forever indebted to AIM AIR and all they do for us over and over again.